The central motif of the product catalog of the Trossingen company Koch is the work of the German painter and draftsman Felix Schwormstädt (1870 - 1938). The catalog in question consists of 52 pages and is written in English. Interesting: With And's Koch AG, founded in 1867, the world's biggest rival of the market leader Hohner sat directly on his own doorstep. 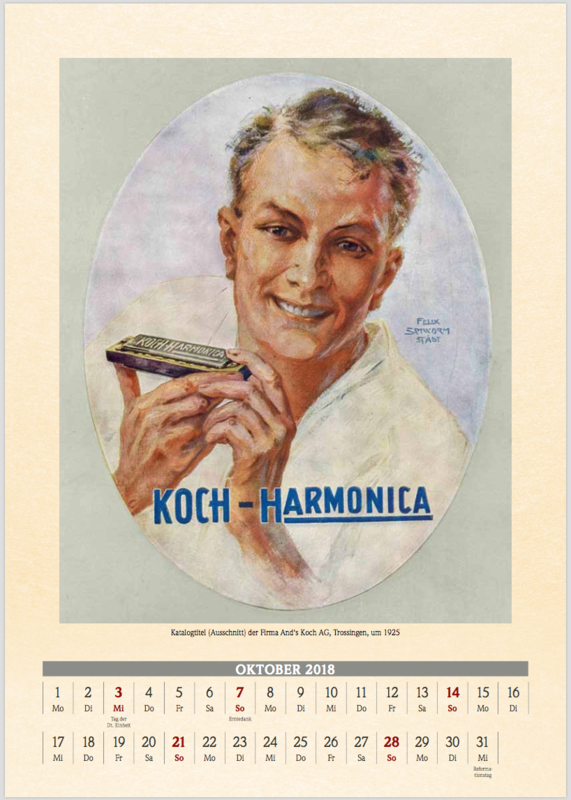 At times Koch counted more than 1000 employees and did not lag behind in terms of innovation and quality of the Hohner brand. In the troubled 1920s, the star of the company sank. At the beginning of January 1929, the owners sold the ailing company to Matth. Hohner AG; within the industry an "elephant wedding".